Hot-air balloons at the Albuquerque International Balloon Fiesta, New Mexico. 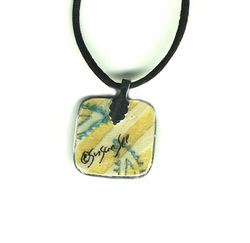 All pendants are water-resistant, NOT waterproof, i.e. don't go snorkeling while wearing them. 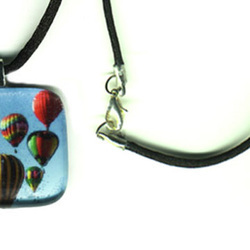 All pendants, except for mini-rectangle size, come with 18" black satin cord. If you'd like a different size please indicate with your order (at the Paypal processing site). 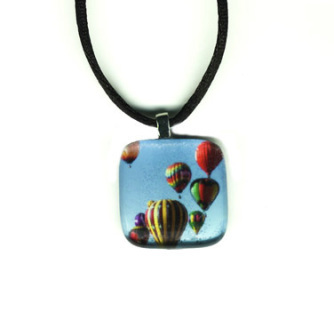 Due to the handmade process & the photograph used, each pendant may appear slightly different from one another and from what you see here thus making each piece one-of-a-kind. Each piece is signed on the back.